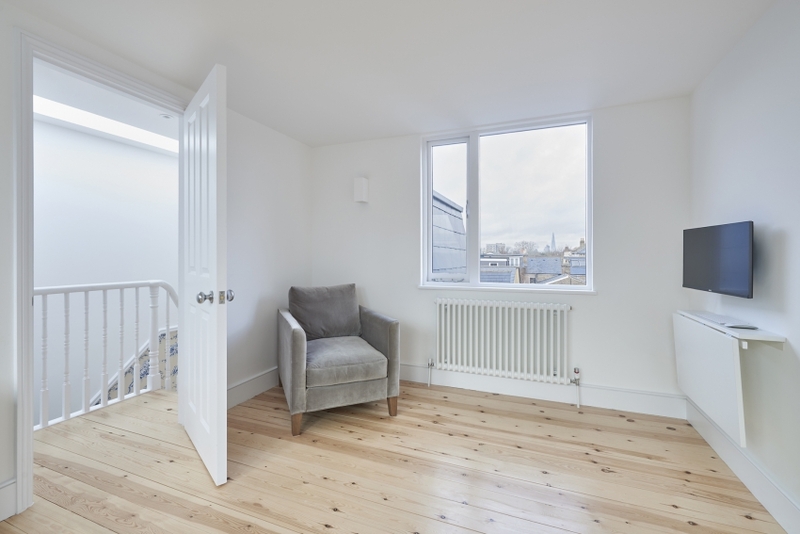 We were appointed in 2015 to create a new kitchen dining space from an existing dark and dishevelled existing victorian outrigger, and redundant side return space. 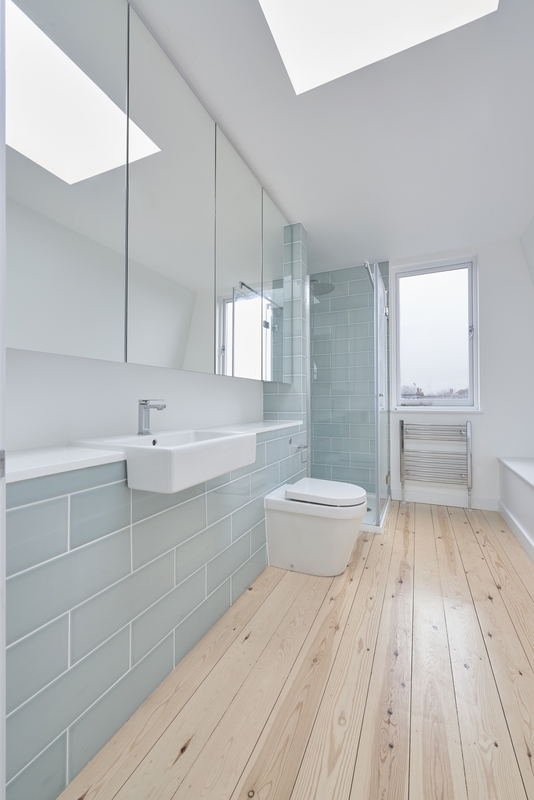 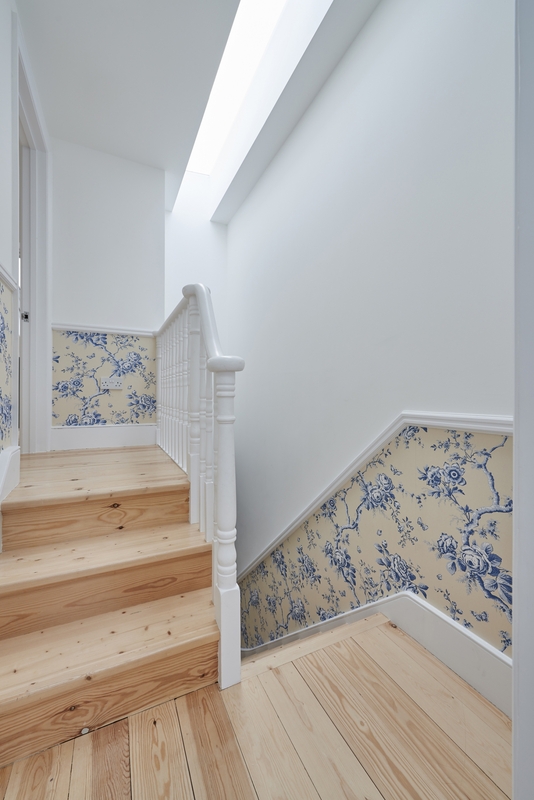 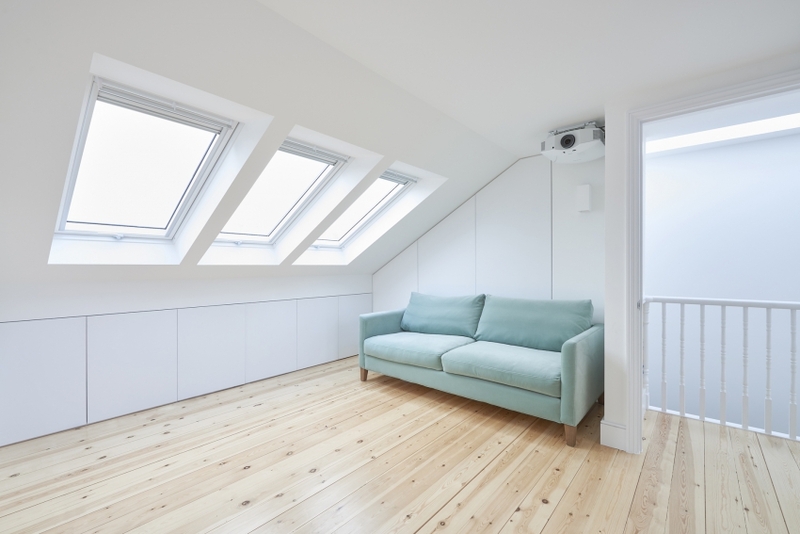 We were also challenged with creating a bright interesting attic conversion with very little headroom. 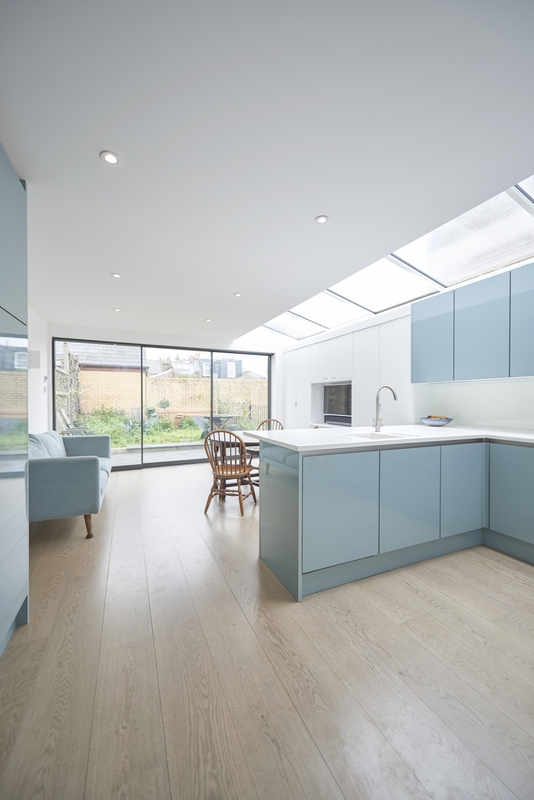 In the kitchen we designed a full length rooflight to maximise the available light in the space. 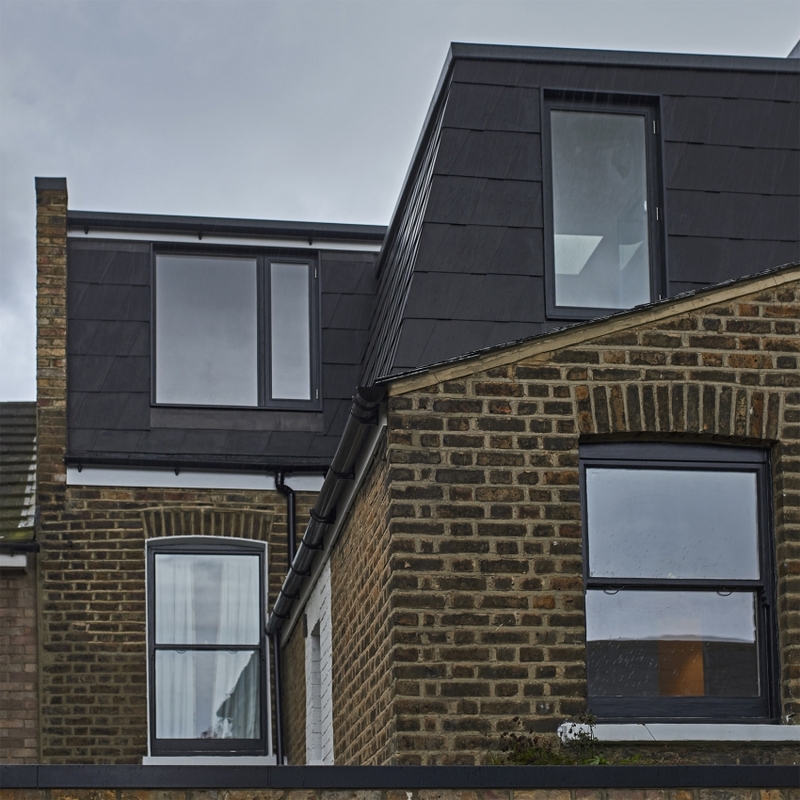 The small rear extension had a wildflower roof, and lead out into a smart slate patio. 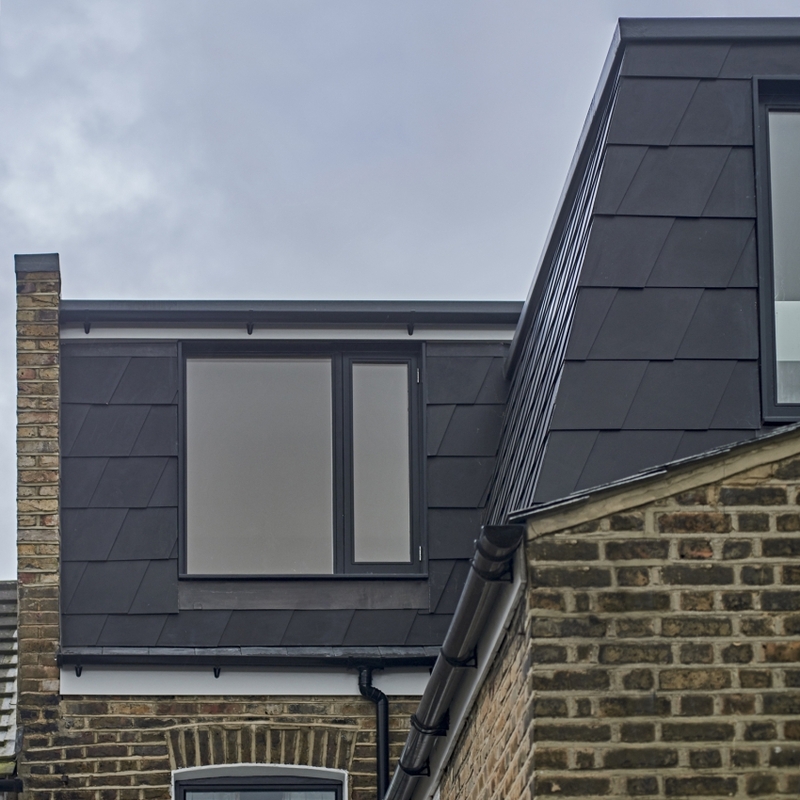 In the loft we experimented with a brand new rhombus cladding system – one of the first in the UK. 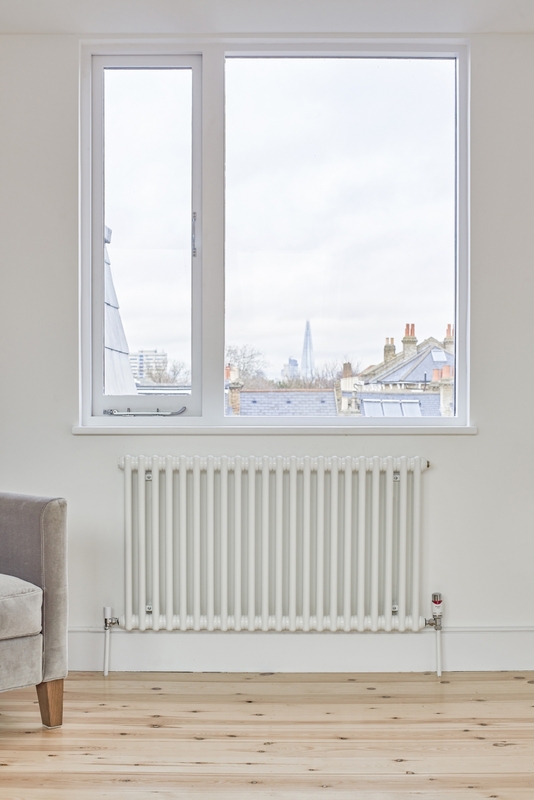 Carefully positioned and proportioned windows framed beautiful views of the shard, whilst the sympathetic interior scheme ensure wonderful continuity with the existing Victorian decor and detailing.